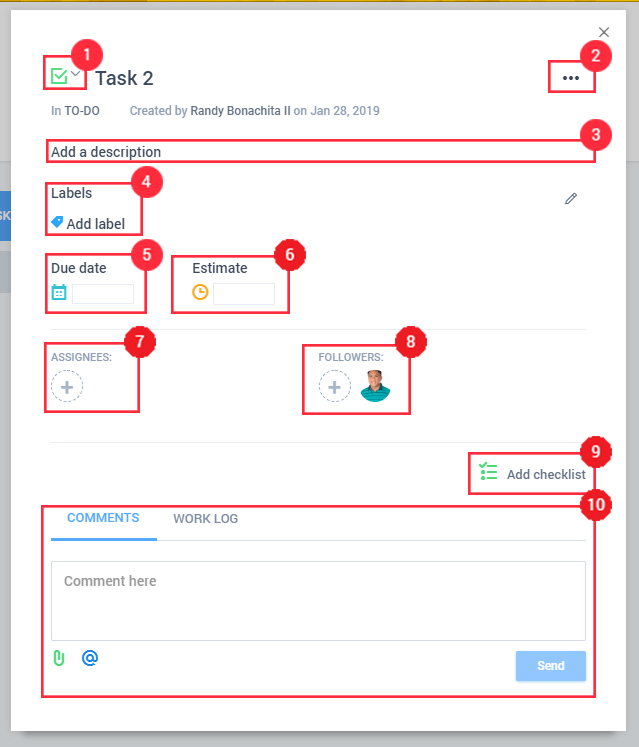 To add tasks, click on a project in your organization. You’ll see your different lists there. Projects and lists need to be set up first. Click on the “Add” button in a task list to create a new task. 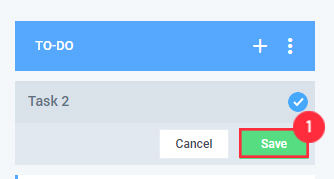 Type in the name for the task and click “Save”. Next, click on the newly created task to open it and add more details. You’ll see the task window and be able to do several things.